Such a ban would be an infringement of people's freedom of religion, which is a fundamental human right. UN Civil and Political Covenant is widely regarded as one of the most important and commonly accepted articles on freedom of religion or belief. Religious expression is, whether in practice or in choice of clothing, the very measure of a free society. 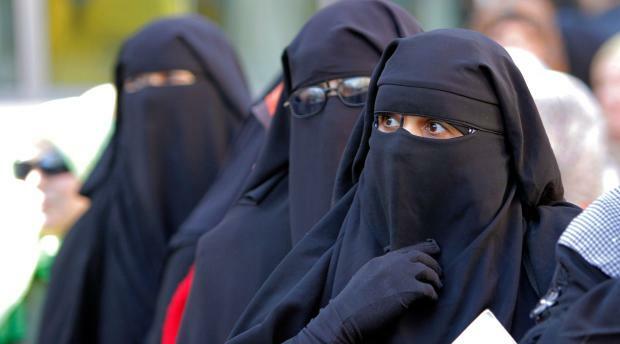 Because these two pieces of clothing are specific to Muslim dress, such a ban would rightly be seen as anti-Muslim. The Burqa and Niqab are merely cultural traditions in the first place, and are not supported by the Quran. "Freedom of religion" does not entail "freedom to act upon your religion". It merely entails freedom to hold religious beliefs and to prevent others from persecuting you for having them. A ban on a garment is not a ban on a religious belief.